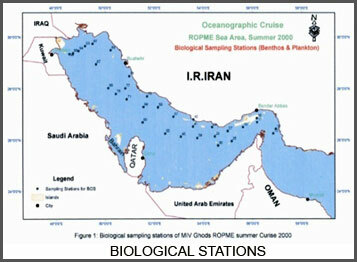 This Cruise was organized for the continuous monitoring and assessment of the obvious degradation in the marine environment of the RSA following to the War represented by and the observed catastrophic fish kill incident of September-October 1999 in Kuwaiti and Iranian waters. The scientific plan of the Cruise included also the assessment of ecological consequences from the drainage of Marshlands of Mesopotamia in Iraq. 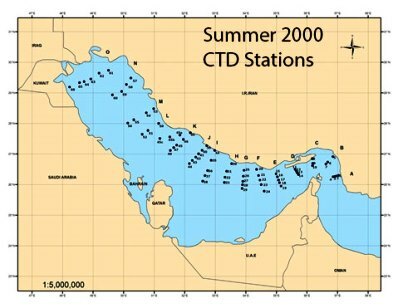 However, the Cruise activity was confined to the Iranian waters up to the median line of Inner RSA including Strait of Hormuz, Shatt Al- Arab and Kuwaiti waters. Different marine samples were collected and studies included the assessment of biodiversity, hydrography, physio-chemical analysis, contaminants in surface and core sediments and radioactivity. The results from this cruise were presented in Regional Meeting of experts and published in technical reports.